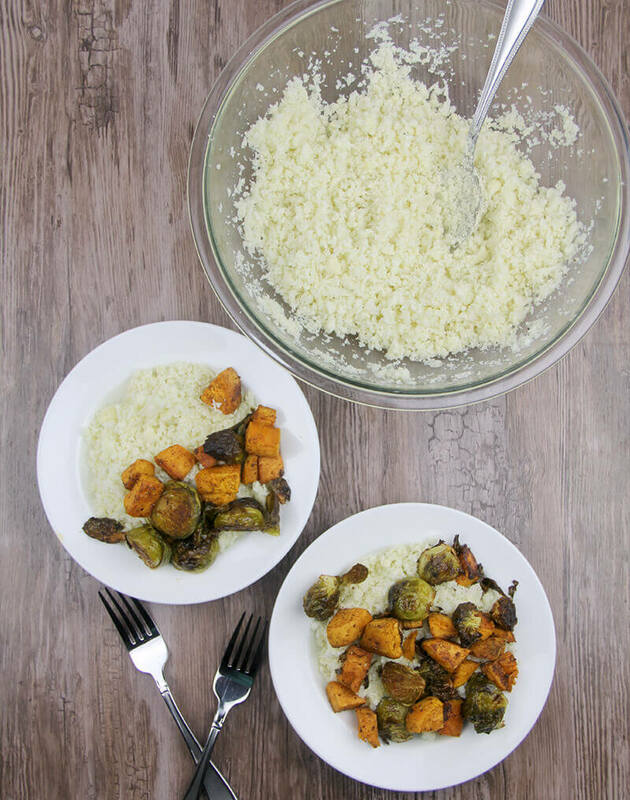 This cauliflower rice recipe makes a carb-free alternative to rice and potatoes that can accompany almost any meat or vegetable dish. I know y’all have seen the cauliflower rice recipe on Pinterest or floating around Facebook, so I’m not going to reinvent the wheel here. There aren’t too many ways to tweak it and every recipe I’ve see makes cauliflower rice pretty much the same way. I’m just going to show you how I do it and point you to the other methods that I’ve seen. Then you can make it your own way! You start with a head of cauliflower, chop it into pieces, and either pulse in the food processor or grate with a box grater. And if you don’t have either of those you can use a blender. Some people use the grater blade on the food processor, but I use the regular blade and just pulse the cauliflower until it’s in small pellets. Then you can cook the cauliflower rice in the microwave or roast it in the oven, depending on how and what you’re serving it with. Don’t forget dessert! Quick and easy Fudge Pie. If I’m serving the cauliflower rice as a base for roasted vegetables, then I’ll steam it in the microwave. If I’m serving it as a stand-alone side dish with a meat, then I’ll usually roast it in the oven for a deeper flavor. This is not rice so don’t be expecting it to actually taste like rice. It will still taste like cauliflower, although once steamed in the microwave with a little olive oil, the cauliflower flavor is diluted, making this a great carb-free choice for those who want that. 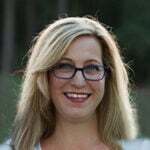 I like to serve the cauliflower rice with roasted vegetables or roasted chicken, sometimes adding a nice green salad to round out a quick and easy weeknight meal. 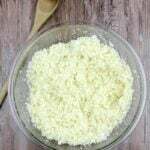 Easy and healthy cauliflower rice can be used as a substitute for white rice in almost any recipe. Wash cauliflower and allow to dry thoroughly. Chop into chunks and place in food processor, using regular blade. 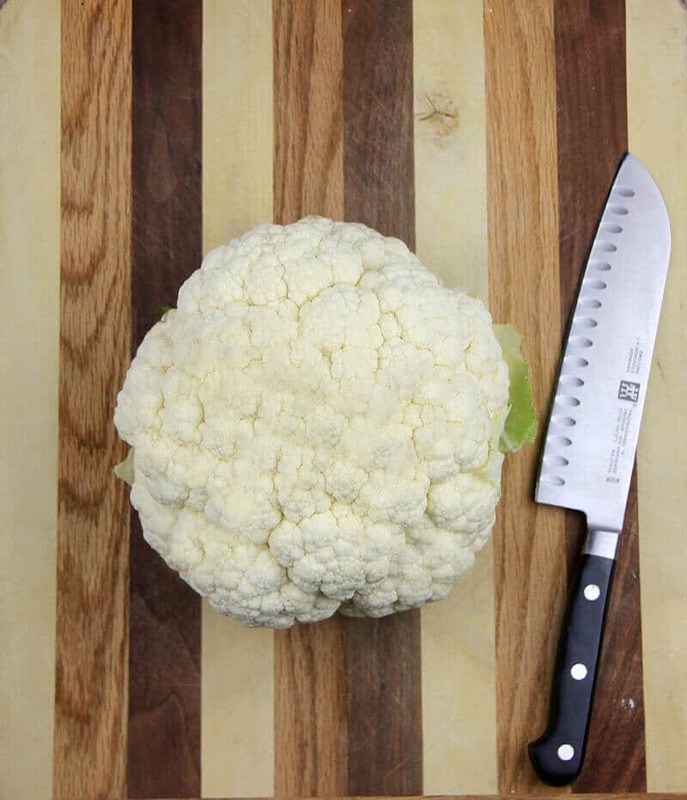 Pulse until cauliflower forms small rice-size pellets. Pour cauliflower pellets into a large, microwave-safe bowl. Stir in olive oil, salt and pepper, and a couple of tablespoons water. Cover tightly with plastic wrap and microwave on high for 3 minutes. Stir and check for desired degree of doneness. If needed, cover and microwave for another 3 minutes. Serve. Preheat oven to 400. Lightly grease baking sheet with baking spray. Spread cauliflower pellets on baking sheet and mix with about 2 tablespoons olive oil and salt and pepper. 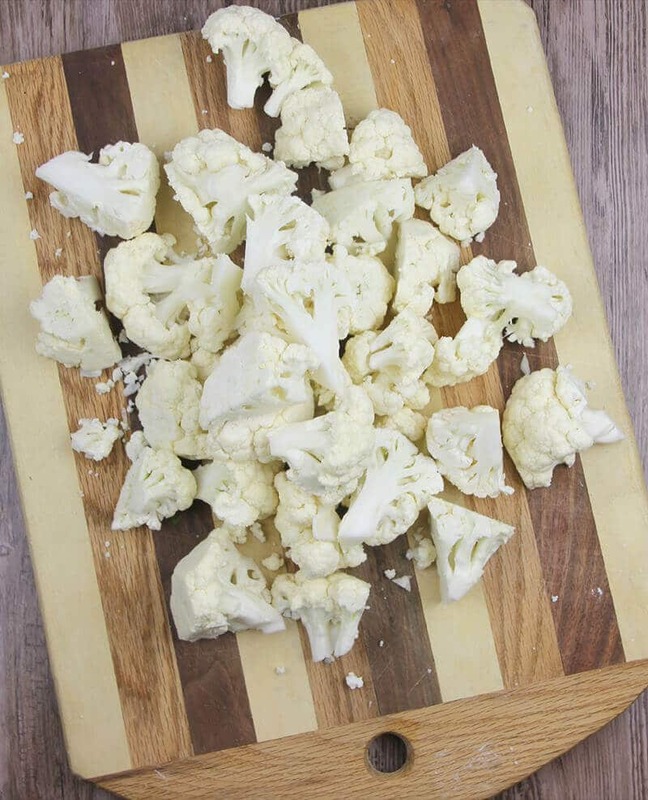 Spread cauliflower out as much as possible on baking sheet and roast 12-15 minutes. Add seasonings as needed. 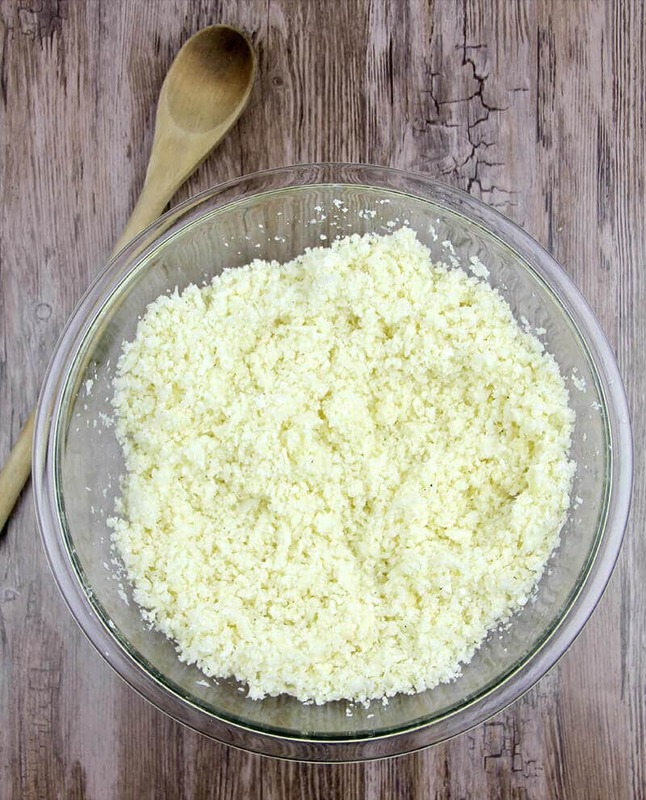 Read more about different methods for cooking cauliflower rice here.